There are those who say that when you drive an electric car, it is a less joyous experience than driving a traditional vehicle. Of course, those of us who know and love electric cars know that is anything but true. In fact, driving an electric car, which is powerful, but silent, and fast, yet very clean has to be one of the best experiences there is. Oh, there’s the little matter that they’re much more economical to run, which means you can have more fun in them too! That’s why electric cars are almost perfect for road tripping. Probably the most important thing you’ll need if you plan to road trip in an electric car is the CarStations app, or one similar to it. Why? Because although gas stations are aplenty, places where you can easily charge your electric car are still not as abundant as they should be. Having this app, which will let you see where all of the available charging points are will make it much easier for you to have a successful electric road trip experience. Most cars, electric or otherwise, do not come with really rocking sound systems as standard, which is a real shame because everyone knows that the second best thing about being on a road trip – the first being the journey itself -is the road trip playlist. So, if you want to ensure that your road trip truly rocks, check out these car amplifier reviews and ratings and act accordingly. 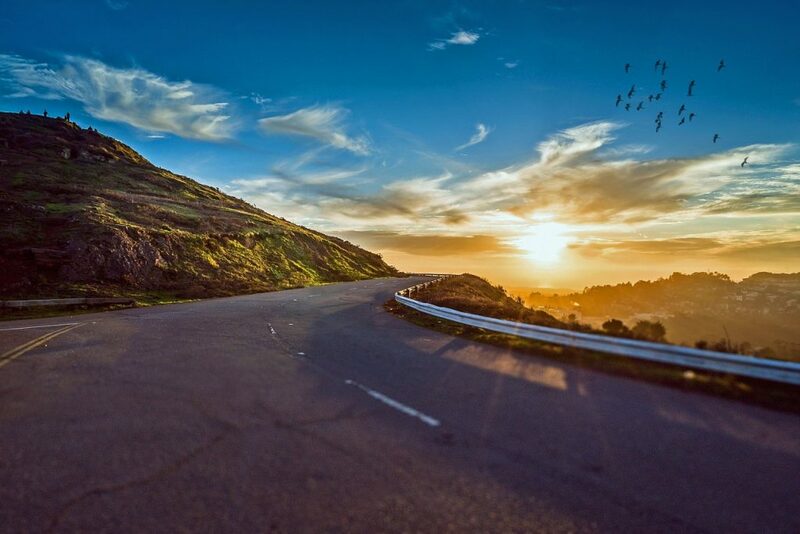 Then, take out your smartphone or mp3 player and start adding some of these classic road trip tracks to your playlist. Bliss! The Minipresso is truly a godsend to the coffee lover who’s on the road. Why? Because it enables you to make a cup of high-quality coffee wherever you are. It’s operated by hand, so you don’t even have to worry about finding somewhere to plug it in – you can just crank it up and get your daily fix, even if you are out exploring in the middle of nowhere. 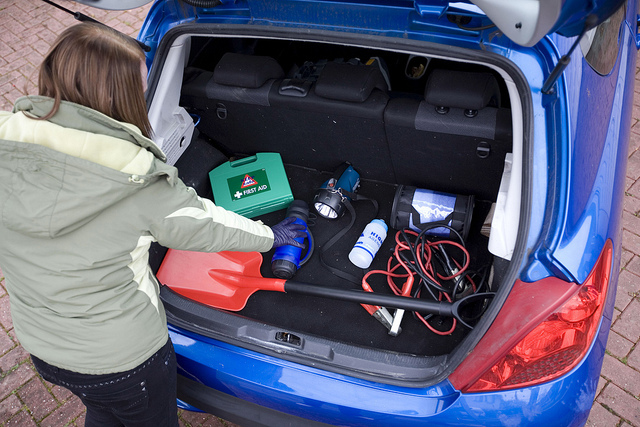 Unfortunately, road trips don’t always go as smoothly as we would like them to, but as long as you have a decent auto-emergency kit, like the ones sold by AAA, you should be able to deal with most minor problems quickly and effectively. Safety first and all that. Coating the windshield of your vehicle is a good way of ensuring that you have maximum visibility when you’re out on the road on those less than perfect days when the weather isn’t playing ball. You can purchase it in a portable form, which you can add to your windshield yourself, and which will last for six months if you want to keep costs down and it will really help you to have an easier time when you’re off on the road. If you and your road trip buddies are going to be spending a lot of time in your car (which you undoubtedly will be on a road trip), and especially if you’re going to be sleeping in there on occasion, then you’re going to want to invest in a few effective car air fresheners. That will help to keep the interior smelling sweet, as will opening the windows and feeling the wind in your hair as often as possible. The Pelican Elite Cooler is the perfect road trip companion because it will keep your snacks and beverages cool and refreshing for as long as ten days, It’s also leak-proof, so you won’t have to worry about it making a mess of your car’s interior. If your electric car’s trunk space isn’t as big as you would like, then invest in some vacuum packed storage bags, and you will be able to fit more clothing and provisions into the vehicle than you even though possible. This is good news because you won’t have to wear the same dirty clothes for long, nor will you have to limit yourself to just a handful of practical outfits. It makes sense to pack travel pillows when you’re heading out on a road trip because, even if you plan to stop at a motel or whatever every night, there could be times when you need to nap between driving or when you simply don’t make it to your planned destination and you need to crash, having travel pillows,and blankets or sleeping bags too, for that matter, in the car will help you to get a more comfortable night’s sleep. If you don’t want to invest in an expensive GPS system, then simply invest in a cell phone mount that will enable you to safely look at the maps on your cell phone as you drive. Depending on where you’re traveling too, you might want to pay for a specific GPS app to ensure that you can find your way around with ease, but it will likely be much cheaper than having to buy the whole shebang. If you have a cell plan that allows you to tether your cell to other devices, then you can do without this, but if you do not have that capability, then it may well be worth investing in a mobile hotspot that will enable you and your road trip buddies to connect your phones, tablets, computers and any other devices you may need to use during the course of your trip to the world wide web when you’re out in more remote places where you can’t easily find free Wi-Fi or as you’re traveling and therefore unable to connect to one particular source of free Wi-Fi for an extended period of time. Time to hit the road. Have a great time!